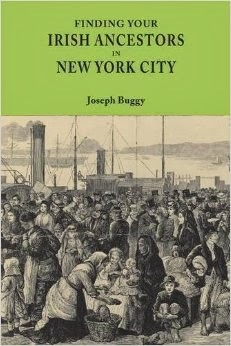 The Archives of Irish America is a repository of primary research materials at New York University that aims to transform our understanding of the Irish migration experience and the distillation of American Irish ethnicity over the past century. Sometimes, it is not obviously apparent how a university archive collection can help with genealogy, but searching through the catalog can reveal some hidden gems. The oral history collection contains a large number of interviews with Irish-born immigrants and those who are descendants of Irish immigrants from previous generations. Some of the interviewees from Ireland were born in the 1930s and could possibly give an insightful understanding about coming to America and assimilating in the first half of the 20th century. Places of origin in Ireland and the names of parents and grandparents could also possibly be provided. The Archives also houses the Gaelic Society of New York Collection and the John T. Ridge Collection, among many others. Both of these collections have documents and information from the 19th and 20th centuries. Many Irish immigrants joined fraternal, cultural, social, and political organizations in the U.S. These collections cans shed light on their involvement in such organizations and possibly provide pertinent genealogical information. For a full list of the collections, click this link and select Archives of Irish America (AIA) Collection at the top of the page. New York University. Archives of Irish America. Year Unknown. www.nyu.edu/library/bobst/research/aia: accessed 7 May 2015.